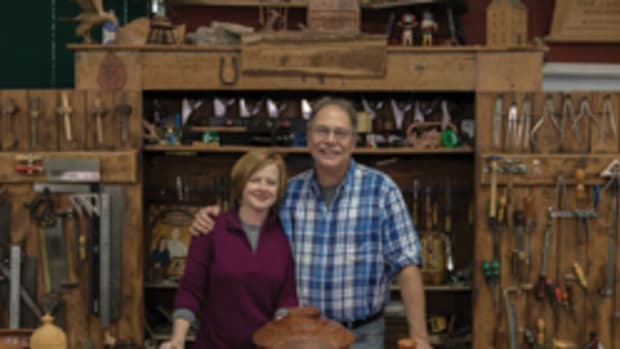 Co-hosts Scott and Suzy Phillips focus on American originality in furniture design and creativity in the use of hand tools as they begin American Woodshop’s 21st season on public television. 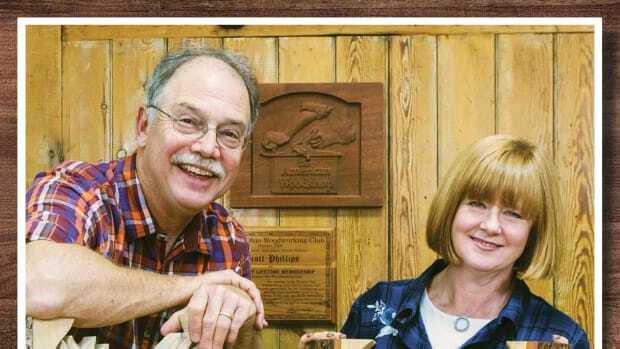 Woodcraft Supply, Kreg Tool Co., Easy Wood Tools, Gorilla Glue Co., and O’Keeffe’s Working Hands provide funding for The American Woodshop, which is produced by WBGU-TV in Bowling Green, Ohio, and carried on 350 plus PBS stations. 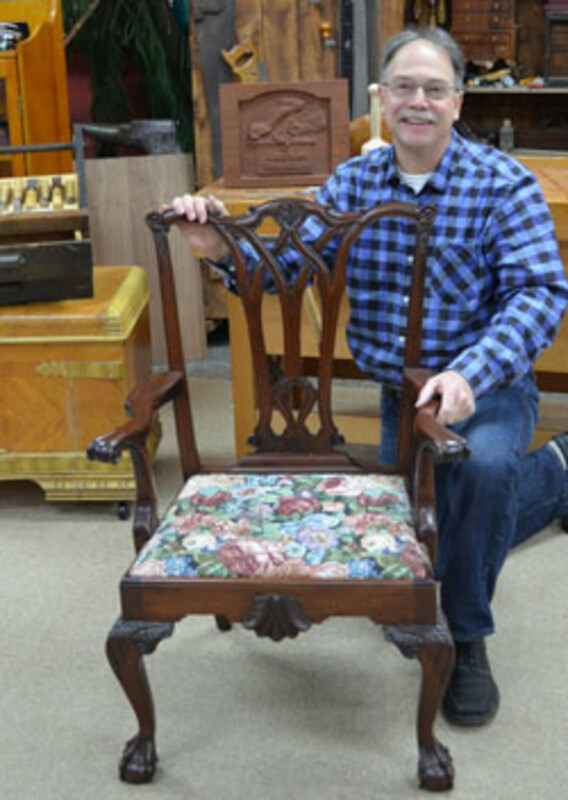 In addition to furniture-making skills, several of the Season 21 projects incorporate specialized woodworking skills such as the Chippendale carvings found on the Philadelphia ball-and-claw armchair, the scroll sawing that produces scroll saw puzzles, the bending wood necessary to build the oval tray table, and the classic dovetail joints featured in the base of the Shaker-style secretary. Two other projects involve turning. Three projects are designed for the woodshop: portable benches made from recycled hard maple, shop jigs and a two-drawer tool tray. Rounding out the lineup are a tiled marbletop washstand, 1930 relief-accented desk, scrolled leg stand, and a curio cabinet featuring willow columns.